I started my travels with a trip to Pattaya. The destination itself is flooded with a lot of stereotypes and rumors, but besides there is still a lot to do and to discover.. I stayed in various properties of Sukosol for my trip to Thailand and couldn’t have been happier to team up with the hotel group, that also operates with two luxury outlets in Bangkok. 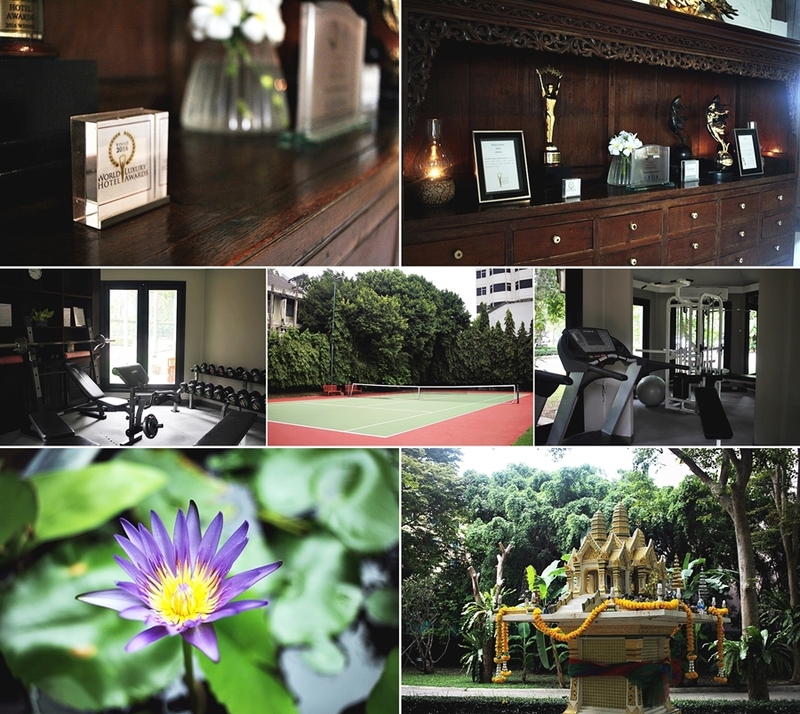 Sukosol hotels have established for many centuries and promote Thai hospitality and design in unique properties. 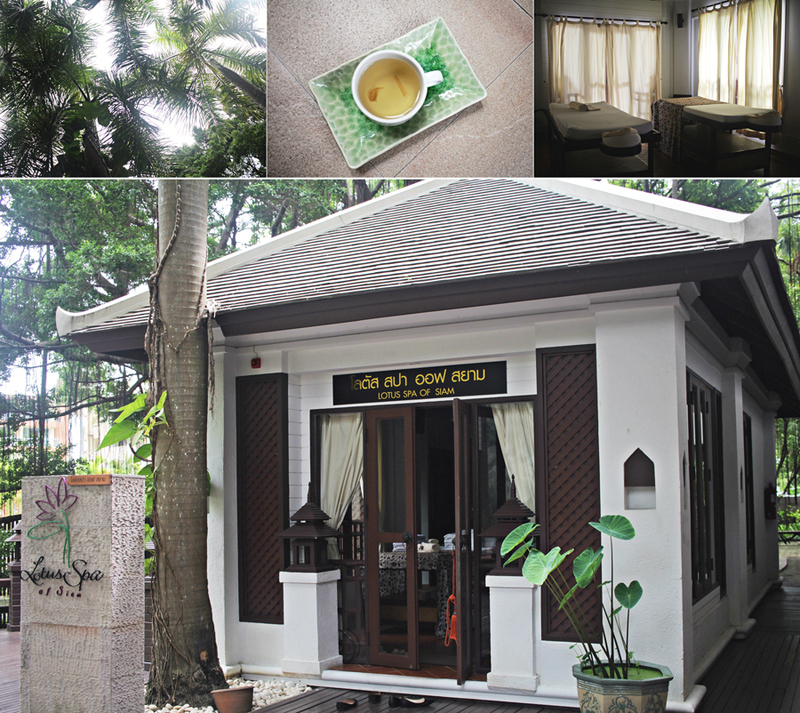 The hotels reach from 4-5 starts and offer high standard accommodation. Thailand is a paradise for those who want to stay at the beach or relax in a fancy resort, while sipping on a chilled coconut. 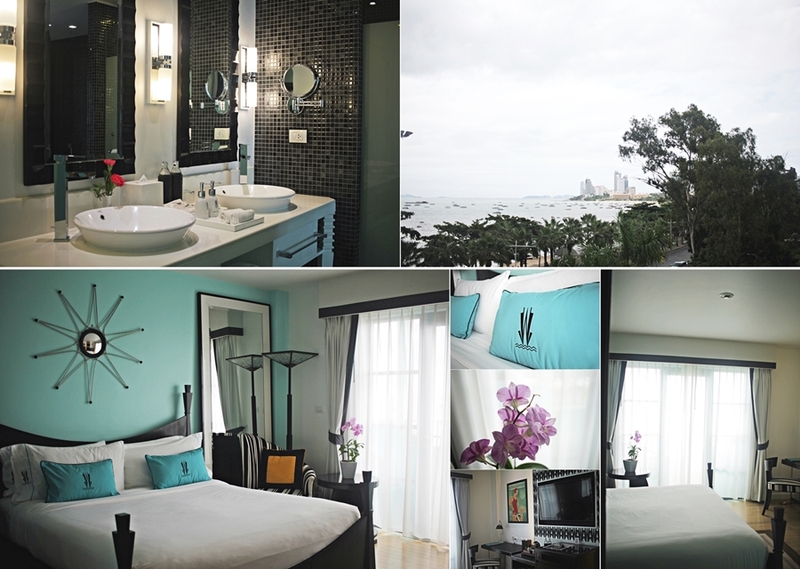 During my stay in Pattaya I have visited 3 properties, the Siam Bayshore, wave Hotel Pattaya and beach view Pattaya. All of these hotels belong to Sukosol hotel holding. My first stay was at the Siam Bayshore Hotel, which is already has a long history. It combines Thai design with modern amenities and invites guest to rest in two pools, which one of is located directly by the beach. Other than that, the hotel offers rooms in the garden wing and in the main wing, which is fronting the beach. All rooms have beautiful views above gardens, wide windows which provide lots of natural light and usually also a balcony. Besides that the hotel holds various awards, so as the world luxury travel award and many other significant confirmations of their great service. 2 restaurants can be found in the hotel, which one of hosts a huge breakfast buffet with sushi, premium Kikkoman soy sauce and live cooking stations. 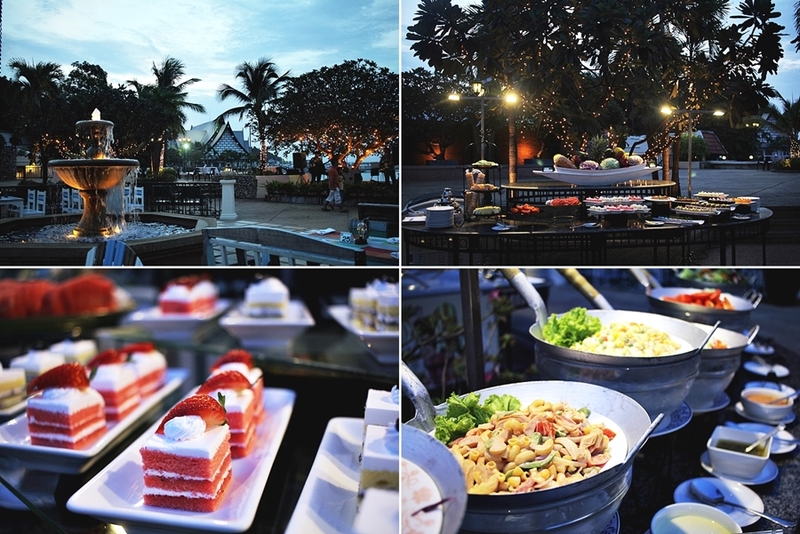 Moreover, guests can enjoy a buffet by the beach in the evening, offering lots of variations and traditional food. For active travels the hotel features two pools, access to play tennis and an gym. Besides that, the beach is in front of the hotel and might be great for a run. During my stay I it also happened that the Pattaya Marathon was held, where I could watch the runners pass by the hotel. One will find the signature spa in the garden area, where one can enjoy many treatments, so as an award-winning oil free massage. Also, I had the pressure to enjoy a deep tissue massage at the hotel and enjoy a deep relaxation while listening to the bird’s sing and the sound of floating water. 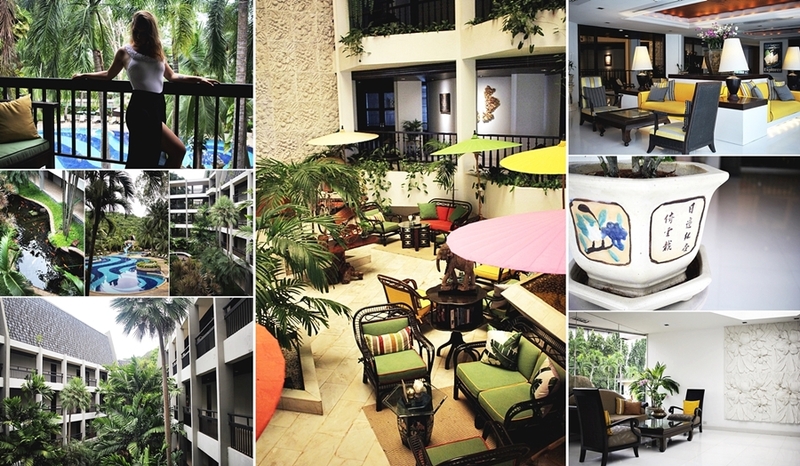 The Siam Bayshore Hotel is also suitable for families and centrally located on Pattaya road. The hotel is in a 90-minute distance to the international airport Suvarnabhumi and offers 270 rooms, which are placed within 12 buildings. Another outlet in Pattaya is the Wave Hotel, which is different from most Thai resorts, as it is an American inspired Hotel, featuring one of my favorite destinations in the USA, Miami. 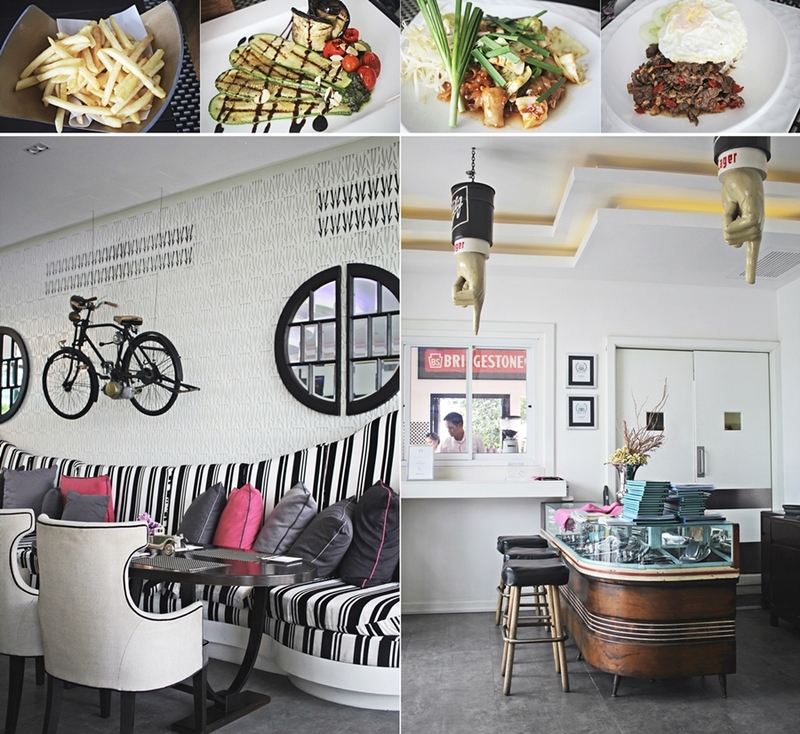 The hotel itself has an ocean inspired interior with a vintage flair and an original American diner place. 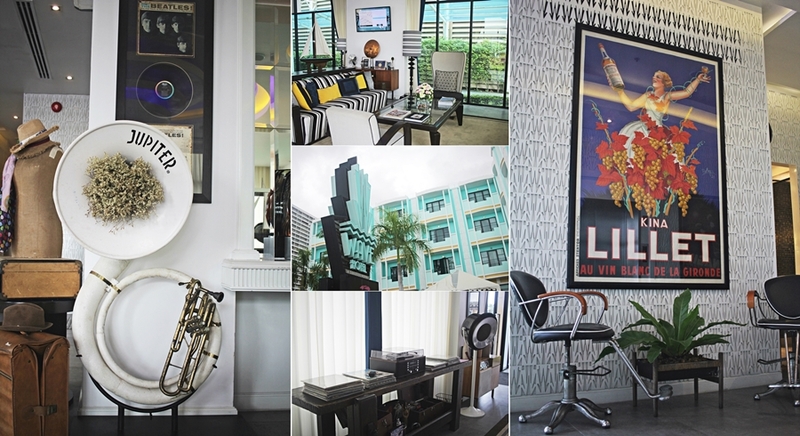 The 18-room boutique hotel is a popular photo spot, with its Cadillac in the front and a famous bar spot, featuring the Cadillac bar, which offers live music, fancy drinks and a chill out by the pool side. 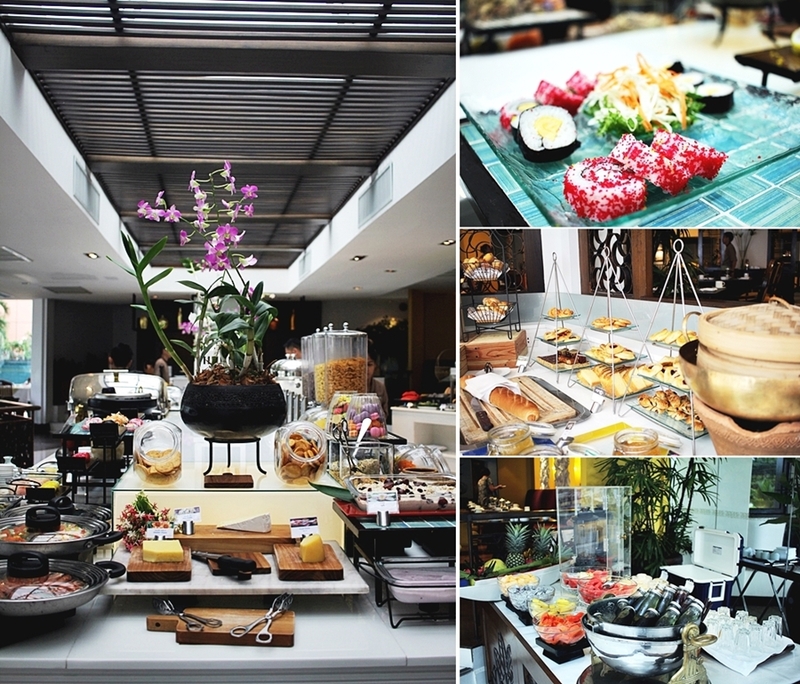 The breakfast is a la carte, giving the offer of American cuisine but infused with Thai Cuisine. Vegetarian and vegan dishes are features, besides the typical Floridian dessert Key lime pie. Other than that, the 3-floor building transforms its Look by night with colorful lights. Guests highly value the friendly and supper assisting staff. This hotel is great for couples as it’s more private and offer less rooms than most resorts. It feels a little more quiet and slowed down. Designed with playful intent, the four-storey building is strikingly pastel by day and vibrant neon by night. A hot pink 1940s Cadillac is parked out front for all petrol heads and shutterbugs to check out. To learn about all that’s hip and happening in Pattaya, stop by the lobby and speak to one of the friendly Guest Experience Managers, who can fill you in on city-wide events and hot-spots. For those wanting to stay connected with friends and family back home or surf the net, there are also Mac desktop computers and iPads available for guest use. An additional feature is access to a huge movie libary, where one can watch the latest releases. The last hotel I have been staying at before leaving Pattaya was the Bayview Pattaya hotel. Comparable to the Siam Bayshore the hotel is a wide spaced resort hotel with 260 rooms on a total of 9 floors. 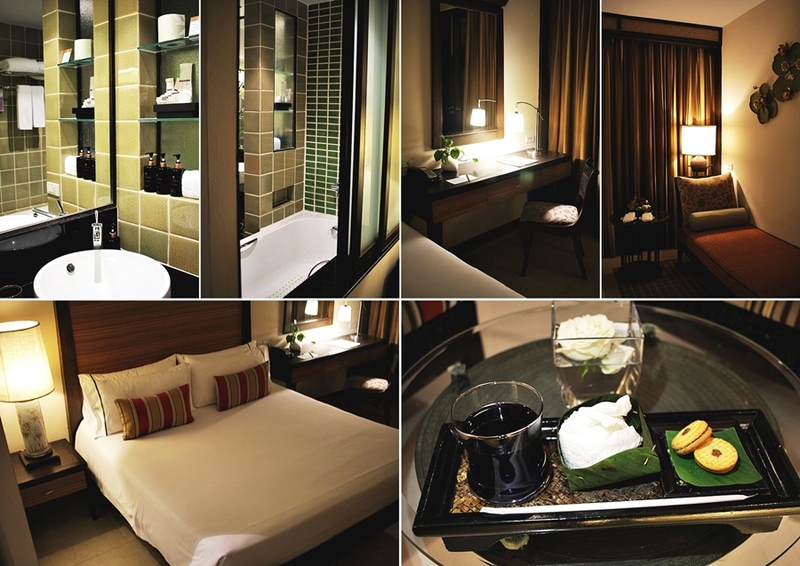 The hotel is Thai inspired and features a charming design, inspired by the Thai culture. Besides that, it is only a few steps away from the Wave Hotel. Towering majestically over Pattaya Bay, The Bayview Hotel is a secluded retreat nestled amid the vibrant hustle and bustle of Beach Road. Experience the tranquility and elegance of a first-class Thai beachside hotel, with a cosmopolitan, contemporary design and recently renovated facilities throughout. A special of the hotel is definitely the Thai cooking class. 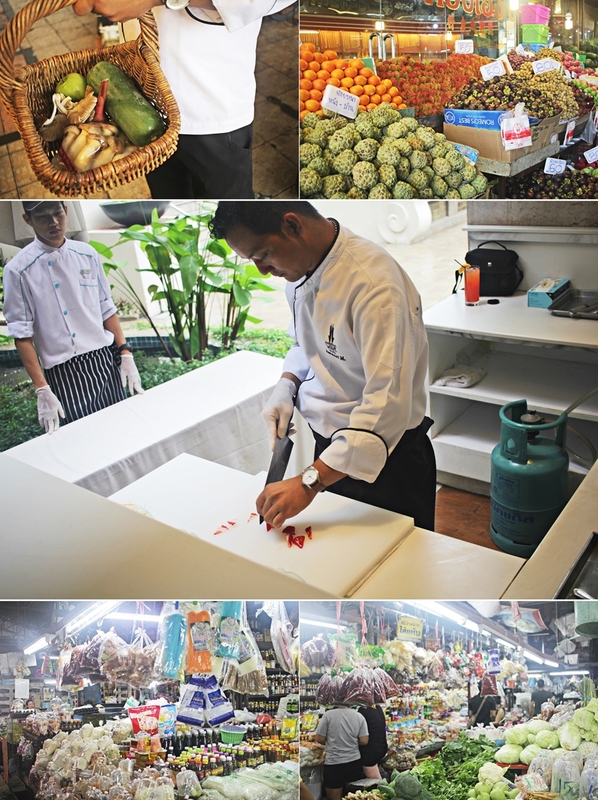 I had the chance to join a cooking class during my stay and prepared a “Pad Thai” and meet the chef, so as joining him to a local market. 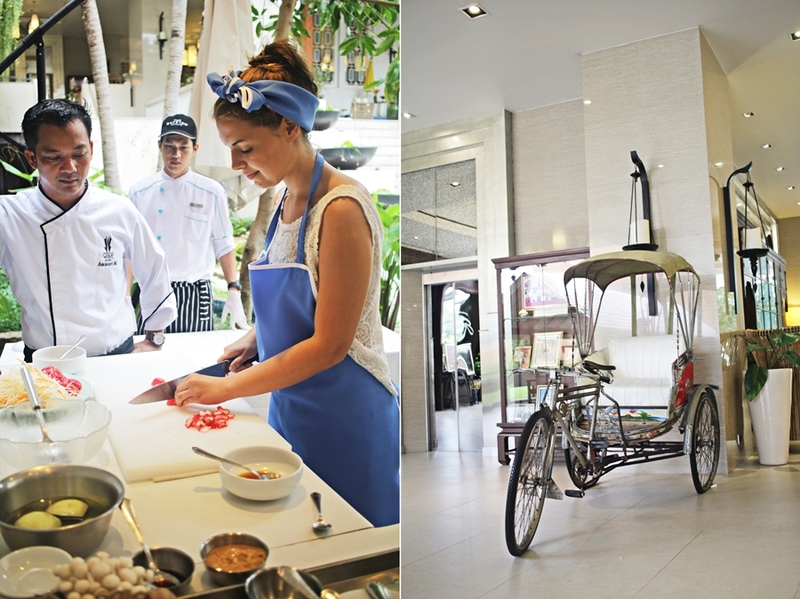 The cooking class was one of my highlights while traveling in Thailand and I recommend it. For those who enjoyed a little too much of the great Thai cuisine, there is a 24-hour gym and two pools with jacuzzi, so as two tennis courts. Guests will have the chance to either relax after a long day out in busy Pattaya or enjoy in the pool areas. Enjoy a sumptuous array of cuisine from around the world at The Bayview’s signature restaurant, Garden Terrace Café. In addition, with four attractive bars and elegant lounges to choose from, why not pause for a refreshing snack or cocktail. At this point I want to shutout to Sukosol hotels for making my trip to Pattaya that special, with funny memories, new cooking skills and fresh coconuts by the pool. I was able to enjoy my third visit to Pattaya to the fullest and will be back for sure.